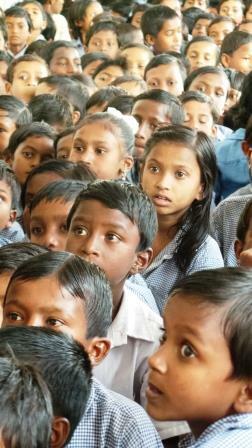 EducAid India was founded as a charitable trust in July 2009. The Trustees are Joan and William Bond. They have considerable experience of travelling and working in India. After many years of service in charity work they group decided to set up their own charity, focusing principally on education and community development.The education of girls, is seen as particularly important. EducAid India at present operates in West Bengal and is assisted by the Ramakrishna Vivekananda Mission, which has branches throughout India. India has an increasing population; large numbers of people remain part of its agrarian economy, despite India’s enormous strides into modern technology. The lot of the poor farmer and his children is serious – without education there is no hope of avoiding the poverty of subsistence farming in the future. YOUR CONTRIBUTION WILL MAKE A DIFFERENCE. WE HAVE A SHORT CHAIN FROM DONOR TO THOSE IN NEED and NO SALARIED STAFF. PLEASE HELP US BY DONATING NOW! Copyright © 2019 Educaid India. All Rights Reserved. Magazine Basic created by c.bavota.